Hass served as the U.S. Poet Laureate from 1995-1997 and has been a fixture of contemporary American poetry ever since. He recently released A Little Book on Form: An Exploration into the Formal Imagination of Poetry, which he chatted about during his conversation with Rosenthal, the event’s chief organizer. Born and raised in the San Francisco Bay Area, Hass is not only an honored poet but also an accomplished activist for traditionally marginalized people. His poem “Dancing” is especially indicative of his passion for justice; inspired by the tragic Pulse nightclub shooting in Orlando, the poem traces the history of guns and violence. His moving language, dedication to form, and focus on humanity throughout his poetry intrigued and inspired eager listeners at this Friday night reading. For those who might be less familiar with poetry, the event excellently introduced the poetic genre, inviting everyone to appreciate this kind of creativity. “I’m not a poet, but I really liked what he had to say about form. [It] doesn't have to be a prescriptive limitation; he definitely plays around within it,” remarked fourth year student Amanda Chu. His desire for inclusivity and his ability to connect an audience of a younger generation with relevant issues reflects his former role as poet laureate, a position regarded to be of the people. It was a rare delight to host on campus such a prolific and prominent poet as Hass. He is a living testament of advocacy for equality and poetic art, who left students feeling empowered to continue a tradition of poetry. Rehearsal for George Saunders reading. 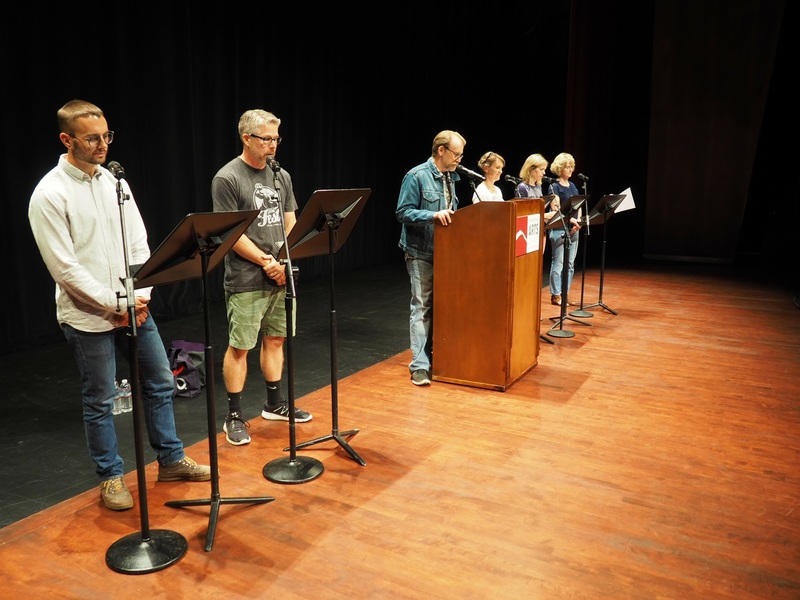 George Saunders visited Cal Poly in September 2017 for a reading of his Man Booker Prize-winning novel Lincoln in the Bardo. Saunders is known primarily for his satirical and biting short stories that often appear in the pages of The New Yorker, but his first novel demonstrates his more emotionally stirring side. In this critically acclaimed novel, he mixes historical accounts and fictional creations to explore the Civil War period through the eyes of a grieving president and an unconventional crew of ghosts. The evening began with a short explanation by Saunders of his creative process in the formulation of the novel, followed by the reading and a Q&A session. 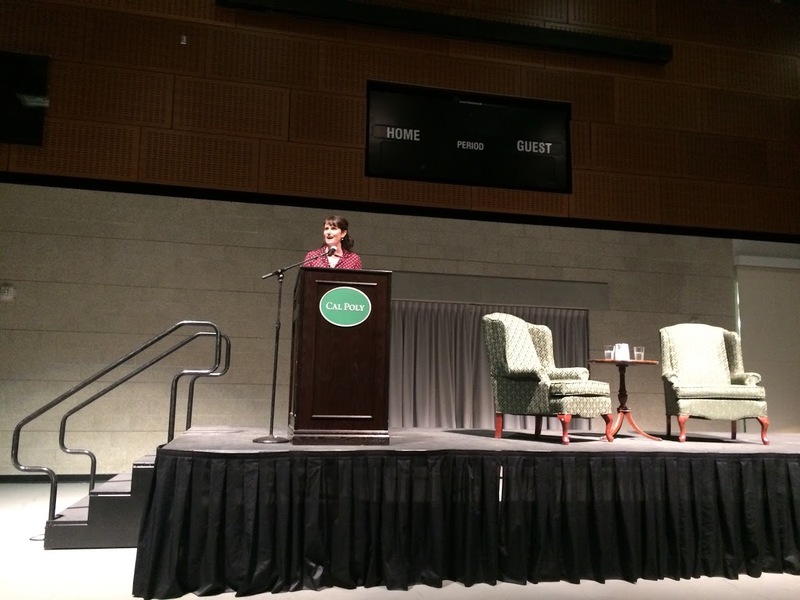 The event was hosted by Cal Poly Arts and the Foundation for San Luis Obispo County Public Libraries, but Dr. Kathryn Rummell, English Department Chair, took the opportunity to contact Saunders to see if he needed any additional support from the English Department for the reading. Saunders enlisted the help of five current and former English faculty members to read a section of his novel, bringing the story to life for the eager attendees. Readers included Mark Roberts, Lisa Coffman, Ryan Hatch, Kathryn Rummell and Carol MacCurdy. Although the novel represents a more serious turn for a typically comedic writer, Saunders balanced humor and pathos within both the reading and his commentary. Discussing the experience of reading with Saunders on stage, Hatch explained, “I just tried to find a way to speak the text clearly and simply, in a way that supported the emotional stakes of the scene.” Hatch and all the readers delivered a compelling and strong performance alongside Saunders, who read the part of the grieving Lincoln. 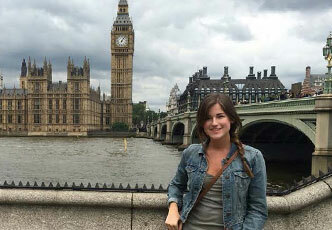 Despy Boutris, a fourth-year English major, attested that the reading piqued her interest in this unique novel, adding “I can't wait to get lost in the book when I have chance.” Many people who may not have had the chance to encounter Saunders felt a similar excitement about diving into Lincoln in the Bardo. Zoe Magno, another student of literature, was particularly inspired by Saunders’s advice during the Q&A about the apprehension a writer feels when pursuing an idea for a story. “You have to approach the idea knowing it already knows what it's going to be, so you have to familiarize yourself with that idea and learn its secrets,” she recalled him saying. In his stories, Saunders displays the effectiveness of his creative process and mindset, encouraging new writers with his dedication to the craft. Lincoln in the Bardo proves the versatility in genre that Saunders commands, opening up his brilliance to a wider sphere of readers. Saunders left the audience delighted and inspired by his words and stories.